Visited EN for dinner with a friend while I missed Okinawa so much with its nice weather and food. 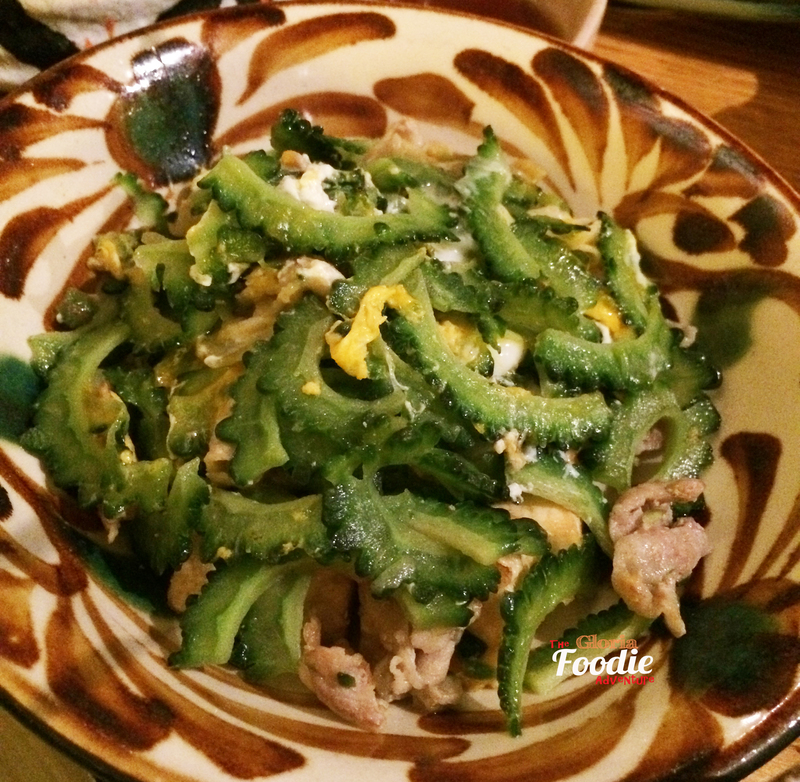 To talk about Okinawa cuisine, 3 dishes could not be missed: Sea grape, stir-fry bitter melon and pork, and Deep-fry chicken in Okinawa style. 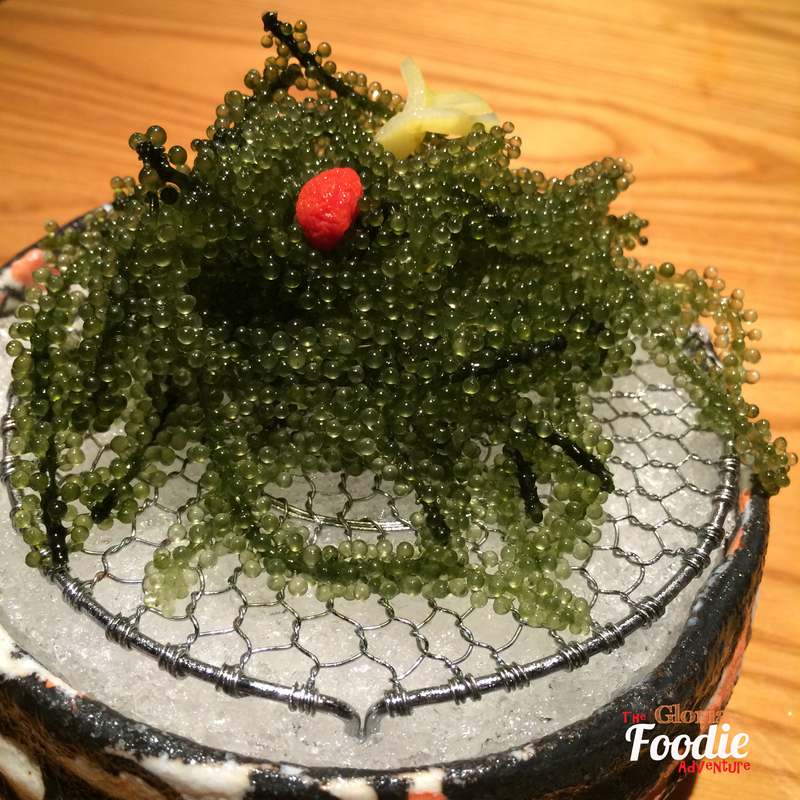 Sea grape is definitely at the top of my list of all Okinawa food. 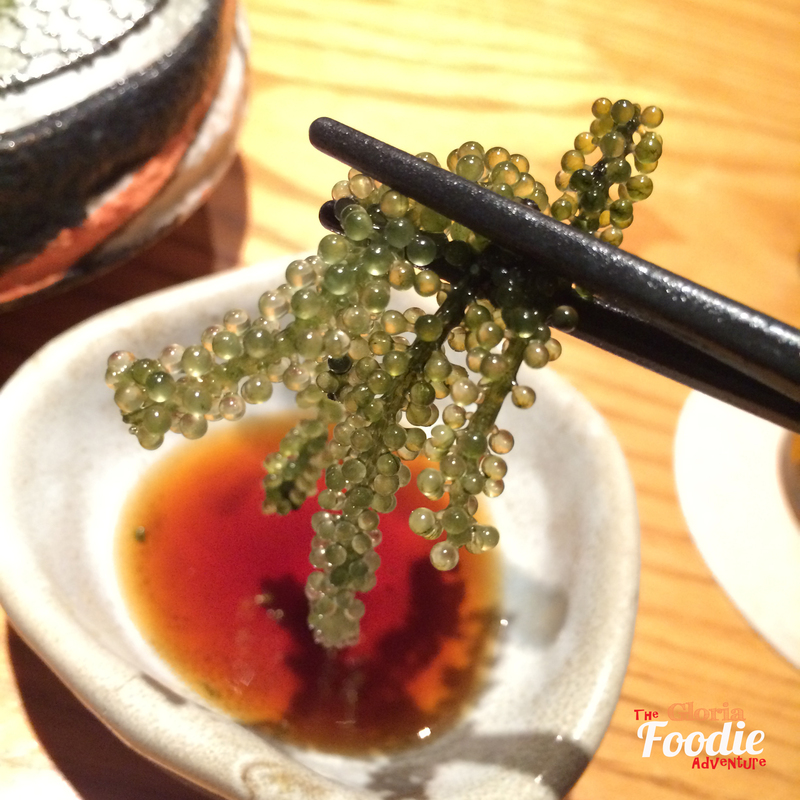 When we came across it in Okinawa, it was sold in a box with pairing vinegar. So big and fresh. This one served by EN was much smaller and tasted as good as the one we had in Japan. 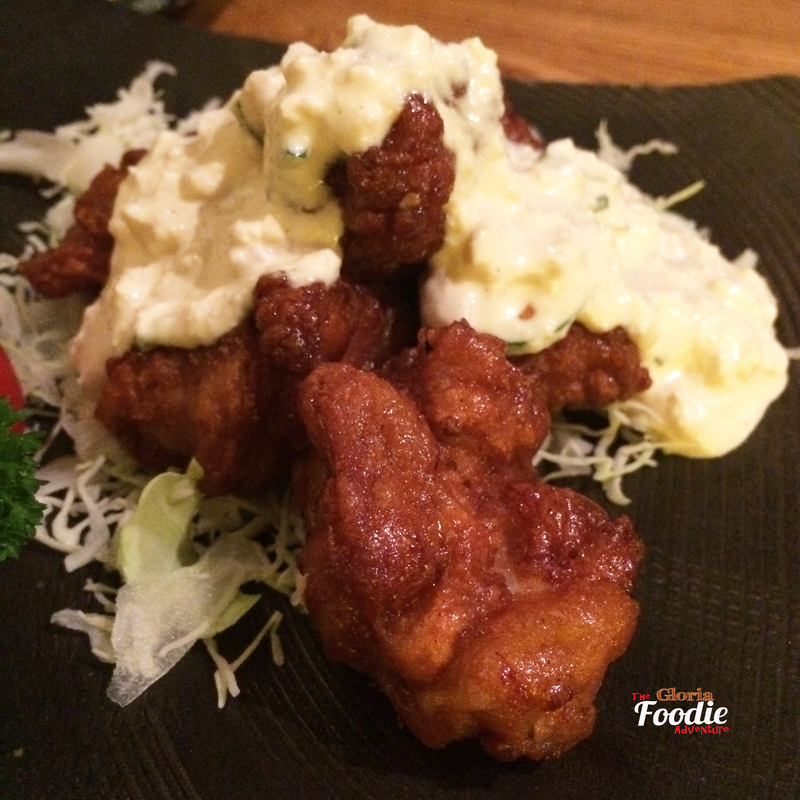 Deep-fried Nanban chicken with ta-ta sauce. The chef really made the magic to remind the juiciness of the chicken and the ta-ta sauce was so refreshing that you wanted to have this with a good bowl of rice. 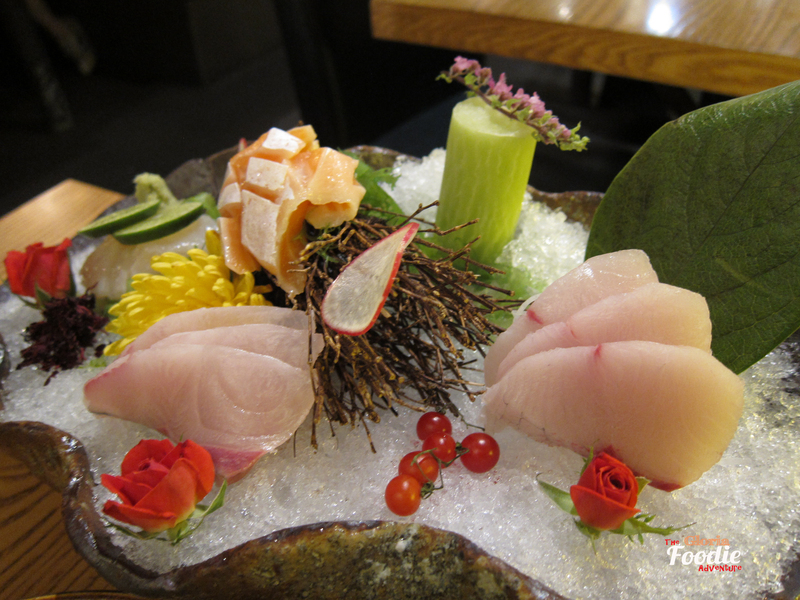 How could you miss sashimi while having Japanese cuisine? We ordered a set of 4 different sashimi, Salmon, Hamachi, Amberjack and Scallop. 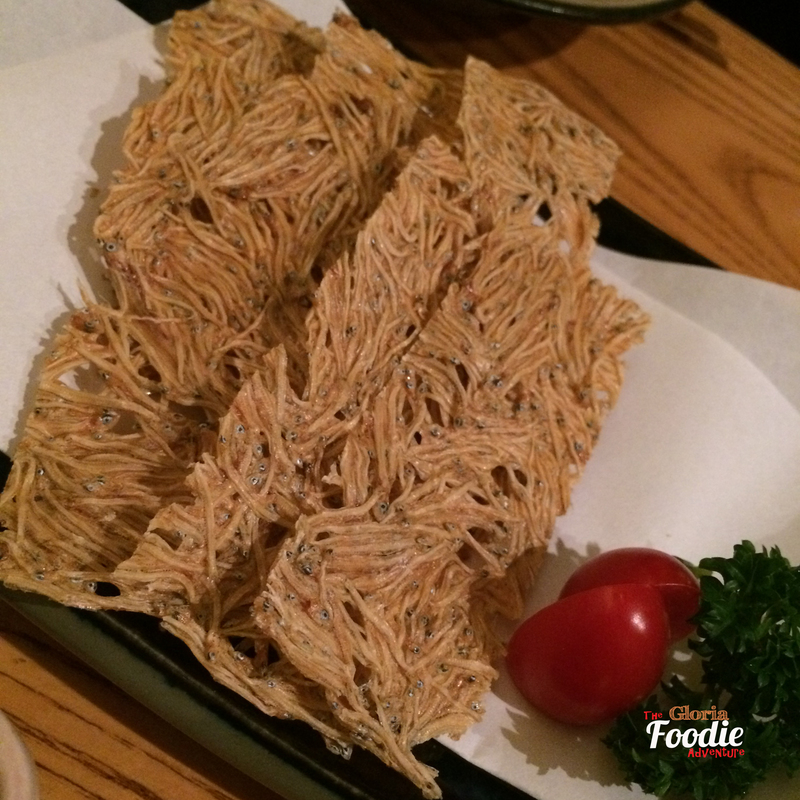 The server explained that even some decoration ingredients could also be eaten, such as cherry tomatoes from Hokkaido. You can see the chef is really working his magic. 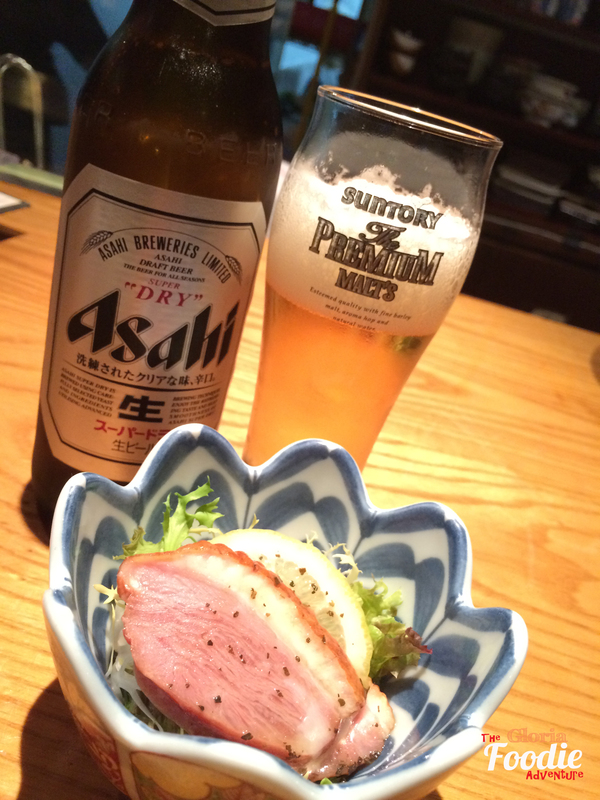 To enjoy a beer and some sake, of cos there would be some nice small dishes served together. Smoked duck breast salad was a very refreshing one with the lemon and vinegar sauce. Ice leave & Uni tempura. 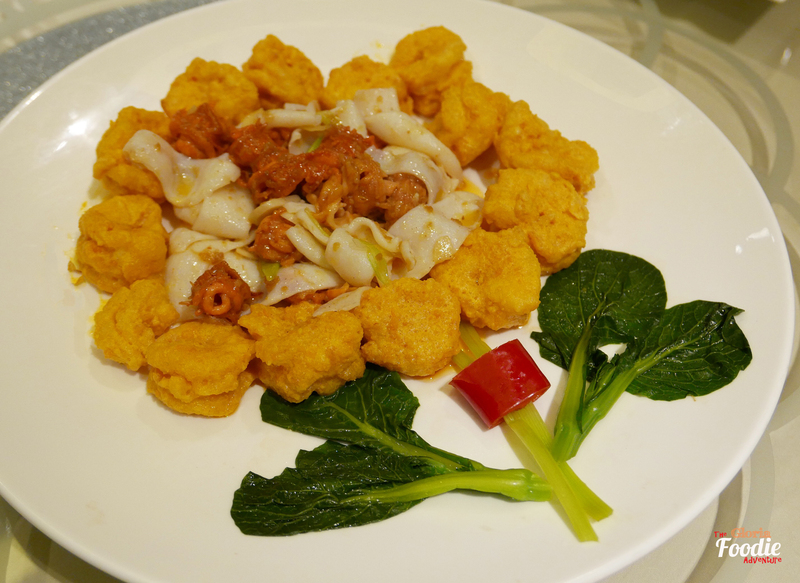 It’s the first time I had cooked ice leaves. Usually it is used in salad. What an interesting combination with uni! One crispy and one soft, what a match! With a little bit of sea salt, the freshness even came out more! Roasted dried sardine. Roasted to very fine and crispy. 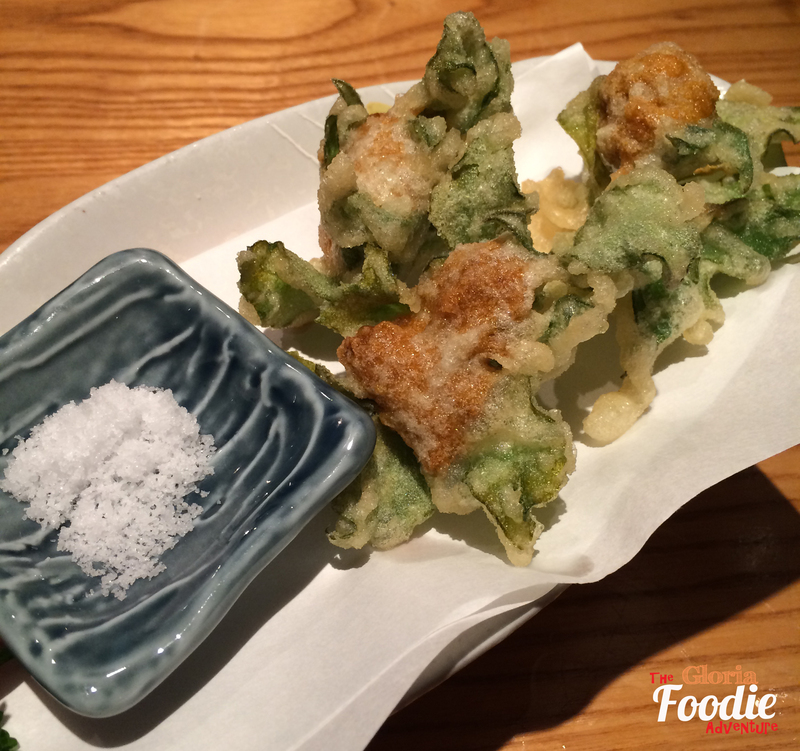 Slightly salty and perfectly matched with beer or sake. Couldn’t miss the assorted Okinawa noodles as the main course. 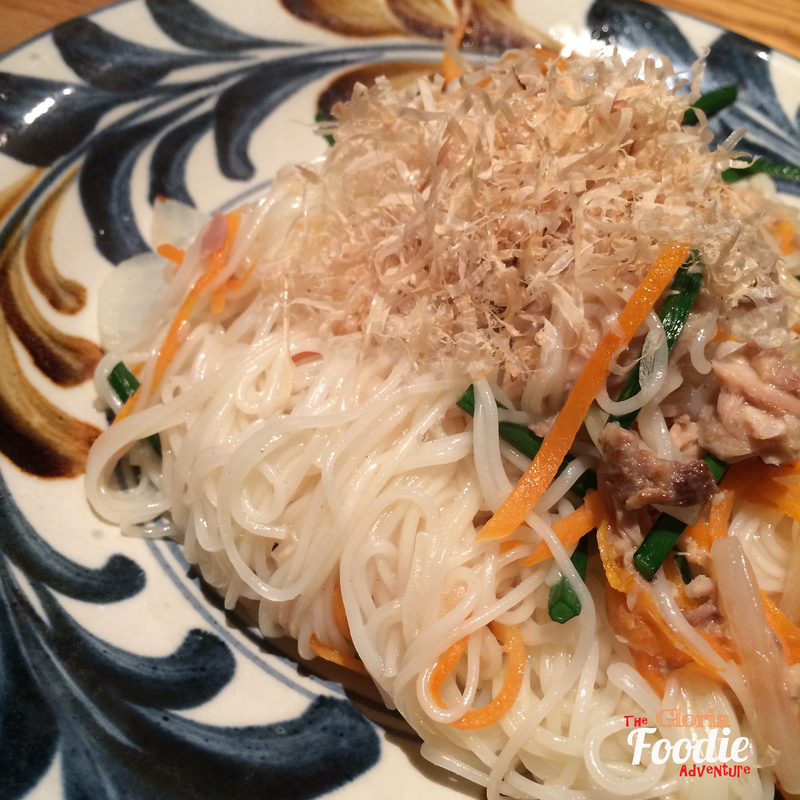 With assorted vegetables and a bit of chicken, the noodles may taste a little salty and sour to you due to the Katsuobushi shavings on top. Remember to eat it fresh and hot. It would stick together if it’s cooled. You may easily miss the entrance of the building where the restaurant locates. 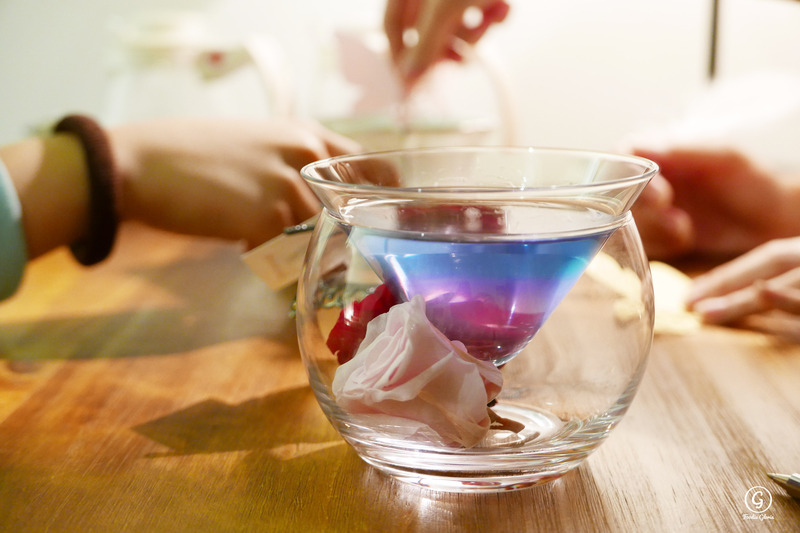 But once you step in 1/F, it is another scenario. The servers are so kind and attentive which I would be sure to return for small gathering with this kind of service and food.